‘The Wireless Repair Expo 2017’, the official partner of Mobile World Congress, Americas, is just around the corner! Running from 12-14th September and offering 12,000 square feet of exhibitors showcasing best of class in wireless repair. The Wireless Repair EXPO will offer live hands-on training and business owner’s workshop sessions onsite. Learn techniques on how to support and improve your business. 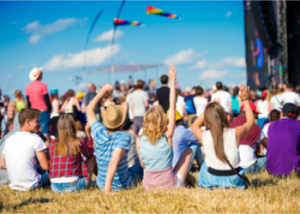 On the 12th September Jack McArtney, the VP Industry Relations for Recipero and leading innovator in mobile device fraud and theft will be presenting between 4-5pm. Jack will be discussing how to improve confidence in buying and selling smartphones by using Recipero’s ecosystem of reliable operators, resellers, consumers and law enforcement showing you how the industry could save billions and strengthen reliability of IMEI data on lost, stolen, blocked or blacklisted phones. Then join us for a cocktail party to round up the event and network with people in the know. 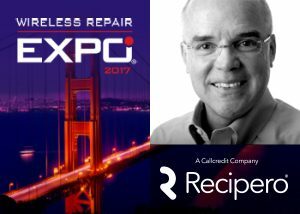 The Wireless Repair Expo 2017 is being held at the Moscone Center, 747 Howard Street, San Francisco, CA 94103.